When you need to get rid of old clothes, recycling them is the most environmentally friendly option, but did you know it can also be a good way to donate to a charity in Atlanta, GA? 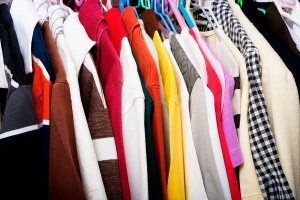 American Kidney Services, a 501(c)3 charitable organization, collects unwanted clothing from area residents. We even pick up clothing donations right from their homes, for free. All you need to do to contribute to our clothes recycling efforts is take your items to one of our drop boxes or join our pickup list by calling us or filling out a short online form. 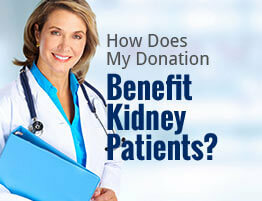 Kidney patients – The funds we raise with your clothing donations go to the American Kidney Fund, a charity that provides financial assistance to kidney disease patients and their families when they’re struggling to afford treatments. Atlanta, GA residents – By donating still-good clothes to us, you give the people in your community who are on a tight budget the opportunity to buy affordable, nice clothes. Yourself – Your donations to us are tax deductible. * Plus, your closet will be much cleaner, which can make getting ready in the morning so much easier. To learn more about American Kidney Services, our clothes recycling efforts, or how we help kidney disease patients and their families, please contact us today. We’d be happy to answer any of your questions and even happier to add you to our list of donors in the Atlanta, GA area.